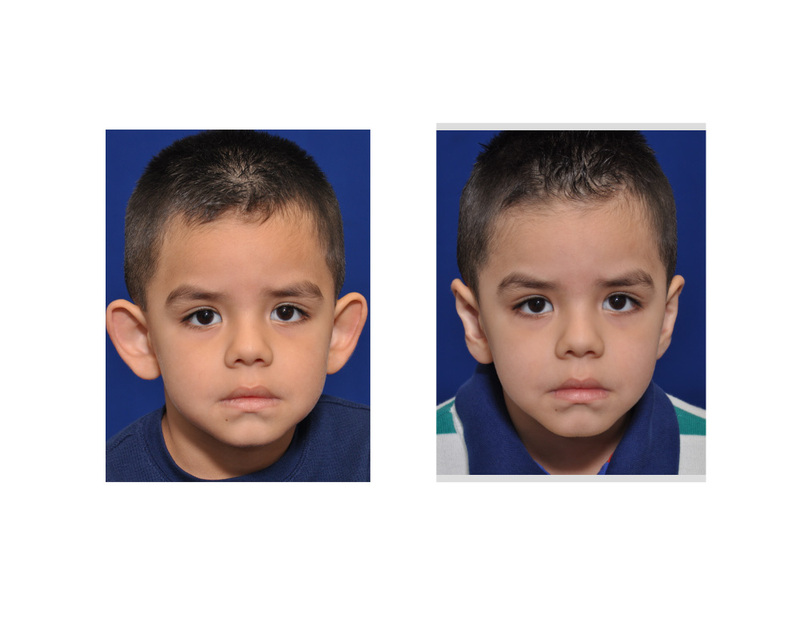 Many Children and adults suffer from the embarrassment of having protruding ears and this can be a characteristic that runs in families, but this is not always the case. Protruding ears are a symptom of having too much cartilage in the ear, or if the ridge of cartilage at the top of the ear does not fold properly as the ear develops. An injury to the ears can also result in deformity. Ears are one of the first parts of the body to grow to adult size, so consequently, if a child, of early school age, has ears that stick out this may lead to teasing, bullying or psychological distress and may affect their self-confidence. Many people, both adults and children, with protruding ears, will go to great lengths in trying to disguise their ears by either growing their hair long, wearing hats or avoiding certain hairstyles. Ear re-positioning or Otoplasty is a surgical procedure that is usually performed to move one or both ears into a more natural looking position, closer to the head. This procedure should only be performed by a qualified and experienced plastic surgeon. This corrective surgery is extremely popular among adults and children alike. At Aesthetics of Essex an initial consultation with a surgeon will allow you to find out about the Otoplasty procedure in detail. Taking the Patient’s medical history into consideration the surgeon will then let you know which ear correction method will be best suited. The Surgeon will then answer any relevant questions such as, the type of Anaesthesia to be used, the benefits of surgery and any potential risks. The Otoplasty procedure is straightforward, either for reducing the ears in size or for pinning the ears back, so that they are closer to the head. The Surgeon will make small discreet surgical incisions behind the ears so that excess skin can be removed and cartilage re-shaped. The ears are then stitched leaving no visible scarring and the area is then bandaged. This Operation usually takes about an hour and you will be required to remain in Hospital until the Anaesthetic has worn off and you are deemed fit to return home. Some discomfort may be experienced immediately after surgery, but this is normal and can be controlled with painkillers. Unfortunately, the surgery can lead to bruising, swelling, temporary numbness and temporary skin irregularity around the ears. Post surgical follow up appointments will occur after 1week, then 4 weeks and finally after 3 months. The results of the surgery will then be assessed to ensure the treatment was successful.